On January 25, 2015, in a free election, the Greek people exercised their right to decide the destiny of their country. A majority of the Greeks voted against austerity. SYRIZA, an outspoken left-wing party, came to power. Since that day, many European governments, led by Germany, have stubbornly refused to allow the Greek government to do what the Greek electorate asked for. The question raised by this episode, which must be answered by all European nations, is a simple one: are there reasons of overriding importance that justify the permanent violation of the will of the people in a free country? For the people of countries undergoing a crisis, such a violation inevitably shakes their faith in Europe’s intentions, and the belief in democratic institutions may be weakened severely. Moreover, when creditor countries dictate policy in opposition to democratic mandates, relationships between countries may be damaged for many years, undermining the possibility of fair and mutually beneficial economic cooperation in the future. Nevertheless, in this case, it seems that the success and “discipline” of the community as a whole was deemed more important than the democratic choice of one of its member nations. Is Europe stronger today? Has Europe come a long way? The eurozone is now in its seventh year of stagnation. Levels of unemployment are still extremely high in several member states, including large ones like France and Italy. 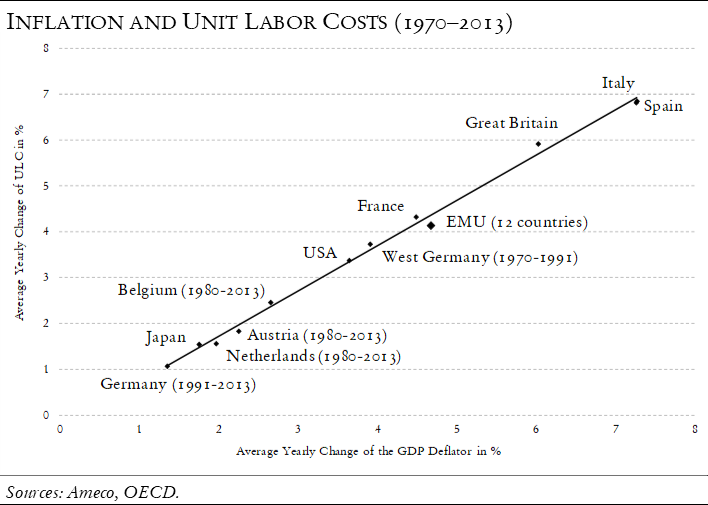 In addition, Europe has not been able to escape the deflationary trap that was built by austerity policies. Although the European Central Bank (ECB) is despairingly testing the last available measures in order to minimize further losses, the situation has become so bad that, as things stand, Europe has to hope that the devaluation of its currency will impact its economy positively, at the expense of other nations outside the continent. But is this Europe’s only option? European policymakers, from the very beginning of the crisis, failed to properly analyze the causes of their misery, let alone propose solutions that would be in the common interest of the union’s members. Austerity policies brought Europe closer to political disintegration. Citizens of many countries—not only in Greece and in the United Kingdom—are asking themselves what Europe is good for. Why should they support a politically divided and economically limping superstructure that, seemingly with no vision of its own, has followed Germany down the road of lower wages and increasing trade imbalances? The German recipe has created unemployment and growing inequality, and has made it impossible for the EU to function properly. One consequence is that anti-EU movements are gaining support across the continent. All this happened while—and, to a meaningful extent, because—the German economy is totally reliant on export surpluses instead of successful economic policies at home. The contrast between the rhetoric of the German leadership and the reality of its dependence on a mercantilist economic approach could not be greater. If everybody applied the German doctrine, failure would be unavoidable. The German chancellor’s view of the world is as narrow as any mercantilist view can be. If this Europe is supposed to be stronger than before the crisis, then one can only conclude that the German chancellor is sleepwalking—to borrow historian Christopher Clark’s term for the decisions that led to World War I—that she is effectively leading Europe towards disaster. By forcing her policy ideas upon the whole of Europe, Merkel and other conservative politicians have managed to create an unsustainable structure that creates friction with the rest of the world. Merkel and other naive spirits within the vicinity of the chancellor believe in a mirage of a “strong Europe in a German sense.” This is a Europe without any debt, a Europe where all countries show current account surpluses, a Europe that seeks to meet every new challenge by tightening its belt even more. Most of Germany’s partner countries are deeply reluctant to go down the mercantilist path that the “leading nation” prescribes as the proper medicine for their economic malaise. But, unfortunately and masochistically, this is the road that Europe is taking under German leadership. The “stronger Europe” of the German model that Merkel talks about is nothing but a fairy tale. Many intelligent people know this, but few in Germany are willing to openly say it. Many Germans remain silent, not because they agree with Merkel, but because of loyalty to their country. They believe that they should not publicly criticize their own country or its leadership, especially when it already faces strong criticism from abroad. The German media suffer from the same misunderstanding and defend the indefensible. Politicians of all parties bow when you expect them to walk upright (with the remarkable exception of the Left Party). The problem is that such an attitude is nothing more than misunderstood patriotism. As such, it is also sleepwalking. Such self-censorship is destructive. At the level of the European institutions, there is a growing awareness that radical changes are needed to make the system more resilient. Beyond the traditional obsession with fiscal deficits and government debt, the implementation of austerity has slowed, or even stopped. But this late recognition is not enough to lead member states towards more balanced trade and the indispensable coordination of wage and unit labor cost growth. To address the real causes of the misery is the political task ahead. Unfortunately, up to now, no German leader has been willing or able to candidly name the causes of the European crisis and blame those who are responsible for it. A monetary union is first and foremost a union of countries willing to give up their own national currency for the purpose of creating a common currency at a common inflation rate. Relinquishing a national currency means waiving the right of the national government to issue currency and to deploy fiat money—in other words, to use a national central bank for national purposes. 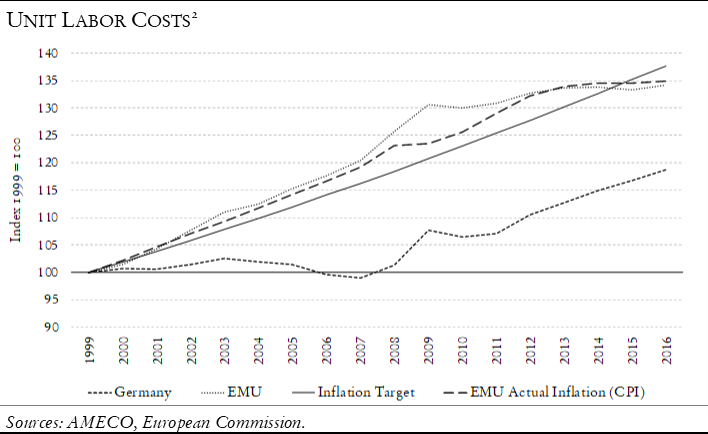 Crucial to any properly functioning monetary union is a shared approach to inflation targets. Without a common, coherent view on inflation theory, divergent governments and central banks cannot cooperate successfully. However, any such coherent perspective on inflation theory was missing from the beginning of the Economic and Monetary Union (EMU). Most governments were, and remain, strong believers in monetarism, a theory that assumes that inflation rates are connected with the volume of money. This theory may have deluded politicians into believing that control of the money supply was a sufficient basis for a common central bank. But it is exactly this theory that has been discredited since the turn of the millennium and subsequently discarded as a serious tool of monetary policy by all the major central banks of the world. There is, however, compelling evidence of a high and stable correlation between the growth rate of unit labor costs and the inflation rate over the long term. Unit labor cost (ULC) is the premium of overall wages over labor productivity. The following chart shows that ULC appears to be the crucial determinant of overall price movements in all the large national economies of the world. The strong correlation between ULC and inflation should have been acknowledged from the beginning and placed at the center of European macroeconomic analysis. The main requirement for a successful monetary union is not control over a volume of money but rather the management of incomes and nominal wages. Since the common inflation target for the EMU was set by the ECB at approximately 2 percent, the implied golden rule for wage growth in each economy would be the sum of the national growth of productivity plus 2 percent. Only under these circumstances would it have been possible to avoid large inflation discrepancies—which lead to competitiveness discrepancies—across member countries. However, preparations for the EMU were always deeply flawed; the political debate in the years up to 1997 (by which time the criteria for entry had to be fulfilled) focused on fiscal policy, rather than on creating the institutions necessary to manage a monetary union successfully. Particular emphasis was placed on limiting public sector deficits to 3 percent of GDP, whereas the need to avoid inflation differentials or the ability of member states to adhere to the common inflation target received much less attention. The EU’s largest economy, Germany, with its absolute intolerance of inflation exceeding 2 percent and its dogmatic monetarist tradition, silenced any other view on inflation. However, Germany simultaneously decided to pursue a neoclassical experiment in a new attempt to reduce its high level of unemployment. The red-green government, which came to power in 1998, put political pressure on labor unions to restrict the growth of both nominal and real wages. This novel German approach to its labor market coincided with the formal introduction of the EMU. As the unions bent to political pressure, the growth of nominal wages was halved compared to the decade before. This brought about huge divergences in nominal ULC developments among the members of the EMU. The main cause of the emerging divergences was to be found in Germany, where nominal ULCs, the most important determinant of prices and competitiveness, had remained essentially flat since the start of the EMU. In contrast, most countries in southern Europe experienced nominal wage growth that exceeded national productivity growth plus the commonly agreed inflation target of 2 percent by a small but stable margin. France was the only country to meet the target for nominal wage growth exactly. French wages rose in line with national productivity performance plus the ECB’s inflation target of a rate close to 2 percent. Even though the annual divergences in national increases to ULCs were relatively small, over time, these “small” annual differences accumulated to produce dramatically large gaps between countries. At the end of the first decade of the EMU, the cost and price gap between Germany and southern Europe amounted to some 25 percent, and the gap between Germany and France was 15 percent. In other words, Germany’s real exchange rate had depreciated significantly, even though national currencies no longer existed within the EMU. The divergence in the growth of ULCs was naturally reflected in equivalent price divergences. Thus, the EMU as a whole achieved the inflation target of 2 percent almost perfectly, but national differences in inflation, within the union, were remarkable. It is undeniable that the real depreciation that has occurred in Germany has had an enormous impact on trade flows. With German ULCs undercutting those in the other countries by a rising margin, German exports flourished, while imports slowed down. Countries in southern Europe, but also France and Italy, began to register widening trade and current account deficits and suffered huge losses in their international market shares. Germany, on the other hand, was able to preserve its share despite mounting global competition from China and other emerging markets. In a nutshell, Germany has operated on a policy of “beggar-thy-neighbor,” but only after “beggaring its own people” by essentially freezing wages. This has been the secret to Germany’s success during the last fifteen years. While trade within Europe had been rather balanced at the inception of the currency union and for many years before that, the EMU marked the beginning of a period of quickly growing imbalances. Even after the shock of the financial crisis and its devastating effects on global trade, which were also visible in the German trade balance, the underlying trend has continued unchanged. Germany’s current account surplus continued to rise after 2010, and even reached a new record high in 2016 of approximately 250 billion euros, or close to 9 percent of GDP. In a world of functional floating or adjustable exchange rates, no country can gain a permanent advantage against another country. As long as countries falling behind have the option of adjusting their exchange rates in accordance with inflation differentials, national competitive advantage is impossible to maintain. This implies that attempts to improve competitiveness by cutting or moderating wages for the EMU as a whole are useless. And yet, this is precisely the path that Europe has chosen as its way out of the crisis. This approach is deeply misguided because in most European debtor countries, wage cuts have led to severe declines in domestic demand, which is more important than external demand. In economies with an export share of GDP that is far below 50 percent, wage restraint strategies are counterproductive. In a monetary union, a country with such a low export share facing a huge current account deficit—combined with financing problems arising from an implicitly overvalued currency—is trapped. Downward adjustment of wages, sometimes erroneously called “internal devaluation,” is no solution when it destroys both domestic demand and output before it brings some relief through rising exports. At the very least, the adjustment process within the EMU has to be symmetric. The country that has implicitly undervalued its exchange rate—Germany—will have to engage in a strong effort of upward adjustment, including faster wage increases, while other countries undertake a downward adjustment. The most reliable yardstick for measuring the success of both sides’ adjustment efforts would be the inflation target. In order to restore the deficit countries’ international competitiveness, it would be necessary to raise ULCs and inflation in the surplus country up to the point where external balance is achieved (over the entire life of the monetary union, the first ten years included). In the middle of 2017, unemployment in the EU still stands at close to 10 percent. More than anything else, these figures show the failure of the EU to deal effectively with the “eurozone crisis.” Indeed, while the dramatic drop in growth and employment was first caused by the global crisis of 2007–9, after 2010, the debtor nations of the EMU were deprived of the means of fighting the recession. In fact, they were forced to adopt pro-cyclical policies on a scale that was last seen in the 1930s. The German mantra of “austerity as the only solution” was applied to all countries that were forced to ask for help when their access to the global capital markets ceased, or was blocked de facto by very high interest rates. Obsession with apparent fiscal problems dominated the debate. Hence the conditions that were demanded by the troika (European Commission, ECB, International Monetary Fund) and the Eurogroup, to secure relief from the creditor nations, focused on consolidating the public budgets of deficit countries at any price and as quickly as possible. With German dominance over export markets persisting and given Germany’s refusal to adjust its own economic model, the future looks bleak for the eurozone. The lack of policy instruments available to tackle the recession, the conditionality attached to the adjustment programs imposed on the economies in crisis, the dysfunctional “structural” adjustment itself, and the prospect of ongoing deflation have all raised the costs of remaining within the EMU. Failure to address the rate of unemployment and rising poverty have paved the way for radical anti-European parties in creditor, as well as in debtor, countries. Against this danger of political upheaval, the benefits of being a member of the EMU are small and, more importantly, they are shrinking fast. In short, the accumulated divergences during the first years of the EMU and the deleterious nature of the adjustment programmes have put the very survival of the EU in question. And yet, European policy makers appear to be oblivious to this fact. They are even less willing than previously to engage in a policy effort to turn around the overall economy and to stop the growing divergences within the EMU. The prospect of disintegration and the eventual collapse of the union can no longer be ignored. At the core of the European crisis and behind Germany’s mercantilism is a false understanding of free trade. The vast majority of economists defend free trade, tooth and nail. Free trade is considered absolutely crucial for economic growth and innovation. If every country, so the idea goes, specializes in the production of goods that it can produce the most cheaply, the whole world benefits because everyone becomes more productive. To liberal economists and politicians, free trade is sacrosanct. Criticize free trade and, according to Paul Krugman, you become one of those “protectionist barbarians” who do not know what they are talking about. Such an attitude may result from the fact that, in effect, free trade is the only thing that the liberal economists have ever brought to the table to explain the wealth of nations. Essentially, the theory is still based on the 200-year-old work of David Ricardo. At that time, economists generally feared that governments could face a situation where rival countries would have advantages in virtually every tradable product. To compensate for absolute disadvantages in resources, the losing countries had to become protectionist, so that their producers had a chance to survive. David Ricardo disagreed. He argued that what matters in international trade are not absolute but comparative advantages. If—as in Ricardo’s example—a certain country is particularly good at producing wine and another country efficiently produces cloth, it is advantageous to both that the two trade with one another, even if the producer of wine would also be able to produce cloth for a lower price than its trading partner. According to Ricardo, each has to specialize in what they are best at in order to optimize the outcome for both. Unfortunately, Ricardo’s theory was always unrealistic. Ricardo assumes that the clothmaker is at its maximum capacity to manufacture cloth and, therefore, does not consider producing both cloth and wine. But there is no full employment—in the classical sense—anywhere; there are no economies with fully utilized capacities in the world. Everyone will, if they have an absolute advantage, make full use of it. Neoclassical trade theory assumes that productive forces are optimally utilized at all times and that capacity expansion is impossible. This is only the first of its absurdities. Furthermore, Ricardian trade theory assumes that—in a situation of full employment—the remuneration of the workers in all countries exactly reflects the respective shortages of both labor and capital. This is a no less heroic assumption. For international trade, nominal wages and ULCs are crucial because they—together with the exchange rates—set prices for products that are to be traded between countries. But what happens if, as is almost always observed, inflation rates between countries diverge widely? To solve that problem, there would have to be at least one functional mechanism to ensure that these widely diverging prices and wages (which are reflected in international currency) remain balanced. The exchange rate between national currencies could be such a mechanism. But unfortunately, again, it does not work at all according to the theory. In today’s world, currencies have become the playground of speculation. Over the years, currency values have gone in unpredictable directions, as speculators exploit inflation and interest rate differentials for short-term profits. The third folly of neoclassical theory may be even more important today. The neoclassical theory of international trade assumes that direct investment flows from producers in countries with high productivity to countries with low productivity and low wages, as determined by the relative prices of labor and capital. But trade with China in recent years can no longer be compared with the normal trade between industrialized countries. The Chinese trade consists largely of Western companies based in China. It has been estimated that 60–70 percent of total Chinese exports are not exported by Chinese companies, but exported by Western companies that have outsourced their production to China. Neoclassical equilibrium theory hypothesizes that—in perfect competition—companies do not earn profits from monopolistic advantages. That is why neoclassical theory cannot account for the profits derived from combining the high productivity of monopolistic (or oligopolistic) Western corporations with low wages in China. It follows that the entire global free trade ideology is based on a theory that is not only unrealistic, but plainly wrong. Consequently, while international trade may become more free, it may not necessarily become more efficient. Nevertheless, in today’s trade negotiations, freedom and efficiency are considered identical or at least highly correlated. If trade liberalization is not identical to increasing efficiency, then interference in free trade is not inherently harmful or inefficient. For example, a country might be prudent to protect itself against massive imports from another country, in which monopolistic companies realize very high profits by combining high productivity with low wages. Protectionist measures directed against such practices can in effect improve the economic welfare of the whole world because they prevent monopolistic companies from damaging or destroying otherwise healthy competitors. Even worse than all of what has already been mentioned is that a few countries, including Germany, are pursuing effectively mercantilist strategies of increasing exports while hiding behind free trade rhetoric. In reality, once appreciable and lasting foreign trade imbalances occur, there remains no incentive whatsoever for trading partners to conclude a trade agreement with a country that continues to defend its trade surpluses. Trade surpluses or deficits are much more important than the potential “productivity effects” of a liberalization of trade in general. Germany, with its wage dumping in the first years of the EMU, violated the implicit rules underlying close monetary cooperation among nations, required by a monetary union. Beyond the EMU, German mercantilism has had negative repercussions for countries like the United States, because the internal German undervaluation contributed to crises in southern Europe and thereby weakened the euro against the dollar. The United States cannot effectively counter the German challenge by weakening the dollar against the euro, as this would hit the crisis-prone countries worse than Germany. In light of these considerations, measures to protect the U.S. economy against an egregious surplus in countries like Germany are, by all means, justified. If the U.S. government were to draw on Article XII of the General Agreement on Tariffs and Trade and apply bilateral dumping measures against the surplus country, Germany, such a move would be absolutely warranted economically and in accordance with the principles of international law. At the same time, the German government could prevent such an outcome easily. As Germany was able to put political pressure on the German unions to suppress wages, it is equally able to pressure the German employer associations to allow larger increases in wages. The rationale would be to avoid a collapse of the euro area—a scenario German industry must fear more than anything else. What the global economy needs more urgently than a doctrinal debate on trade policy is a monetary system that prevents individual countries from accumulating unjustified advantages over time through wage dumping or similar measures. To prevent manipulation of the exchange rate and to deter the financial markets from driving the competitive positions of nations in the wrong directions, a new code of conduct is needed that would reflect the overall competitiveness of nations. Such a code of conduct, negotiated between countries, would have to balance the advantages of one country against the disadvantages of others. For example, changes in the nominal exchange rates that deviate from the fundamentals (inflation differentials) affect international trade in exactly the same way as changes in tariffs and export subsidies do. Consequently, such real exchange rate changes should be subject to multilateral oversight and negotiations. Reasons for the deviation from the fundamentals and the necessary size of the deviation have to be identified by an international institution and enforced by a multilateral body. Such rules could help protect all trading parties against unjustified overall losses or gains from competitiveness, and developing countries could systematically avoid the trap of overvaluation that has been one of the major impediments to prosperity in recent decades. A long-term solution for the international financial system has to start with the recognition that the idea of a cooperative global monetary system is as compelling an idea as a multilateral trading system. As with multilateral trade rules, a well-designed global financial system has to create equal conditions for all parties involved and has to prevent unfair competition. Indeed, the reasons that the International Monetary Fund was founded more than sixty years ago are still largely valid. Avoiding competitive depreciations and other monetary distortions that have negative effects on the functioning of the international trading system is more important in today’s highly interdependent world than at any other time in history. 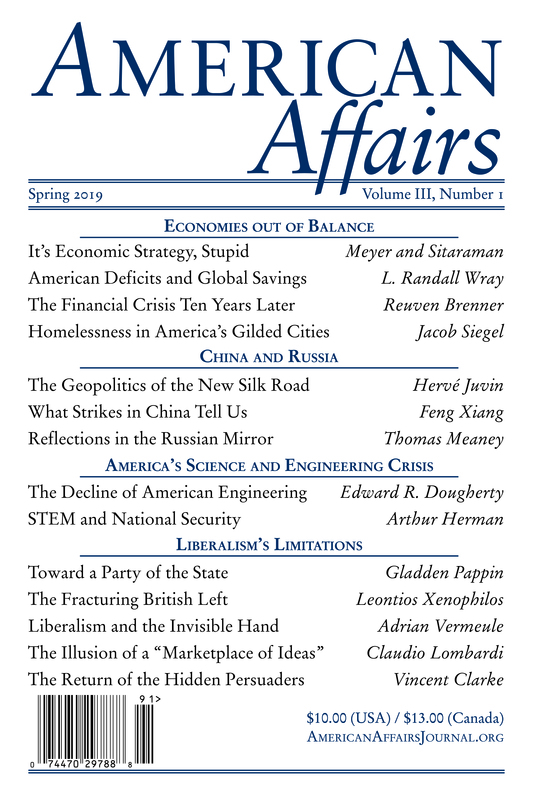 This article originally appeared in American Affairs Volume I, Number 3 (Fall 2017): 45–57. 1 Angela Merkel, Regierungserklärung von Bundeskanzlerin Merkel, Deutscher Bundestag (Berlin, June 18, 2015), https://www.bundesregierung.de/Content/DE/Regierungserklaerung/2015/2015-06-18-regierungserklaerung.html. 2 Gross income of employees per hour worked divided by real GDP per hour worked. Heiner Flassbeck was chief macroeconomist at the German Institute for Economic Research in Berlin from 1988 to 1998 and state secretary (vice minister) at Germany’s Federal Ministry of Finance in 1998–99. From 2003 to 2012, he was Director of the Division on Globalization and Development Strategies at the United Nations Conference on Trade and Development. He is the coeditor of Makroskop.